Got a CPDJA question? We've got answers. 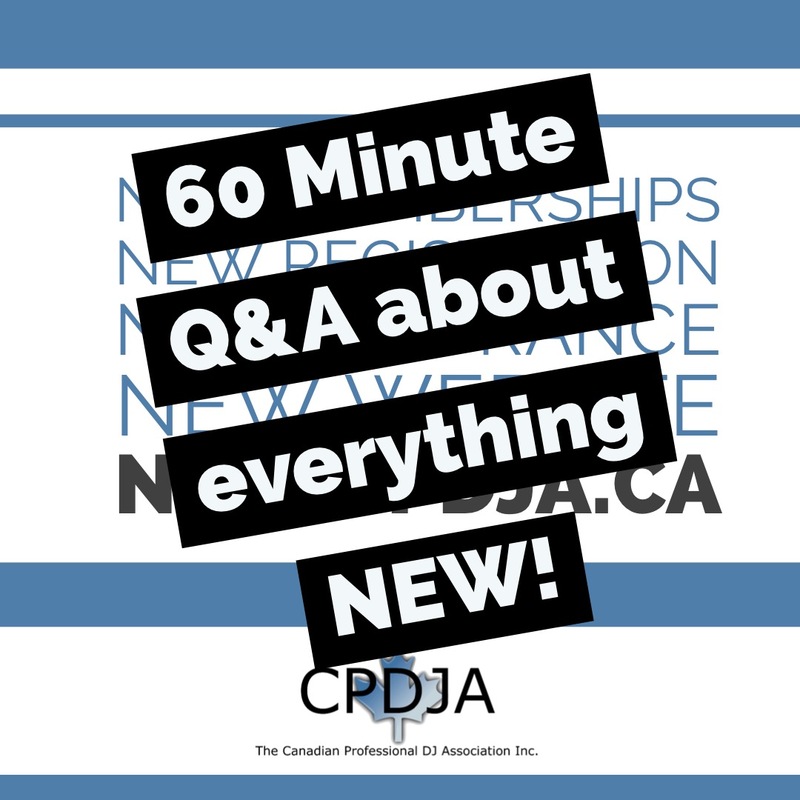 CPDJA President, Derek Schwartzentruber and National Vice-President Dave Ternier will host a 1 hour Q&A about everything to do with the association from the memberships to the website and anything else that is on your mind. We have been live with our new online platform for one month and are eager to hear what comments, including suggested improvements, need to be made. We'll also share some details on what Phase 2 of development will look like, including the addition of a completely new Find a DJ search functionality. Join us at this video link on Wednesday evening, February 13th at 6:00pm Pacific, 7:00pm Mountain, 8:00pm Central, 9:00pm Eastern, 10:00pm Atlantic!